An amber glass central panel bordered by green, red and pastel glass. There is a central Star of David (gold on blue) motif. 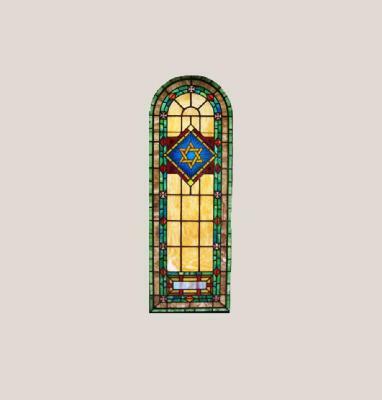 Purchased as “old synagogue windows” c. 1980. Given to University of Cincinnati Hillel Collection by an anonymous donor through the auspices of Mark D. Mallette.